Summer is almost here! 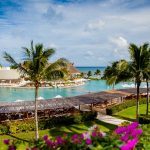 Do you have a family vacation planned? We hope you do because you deserve a trip! 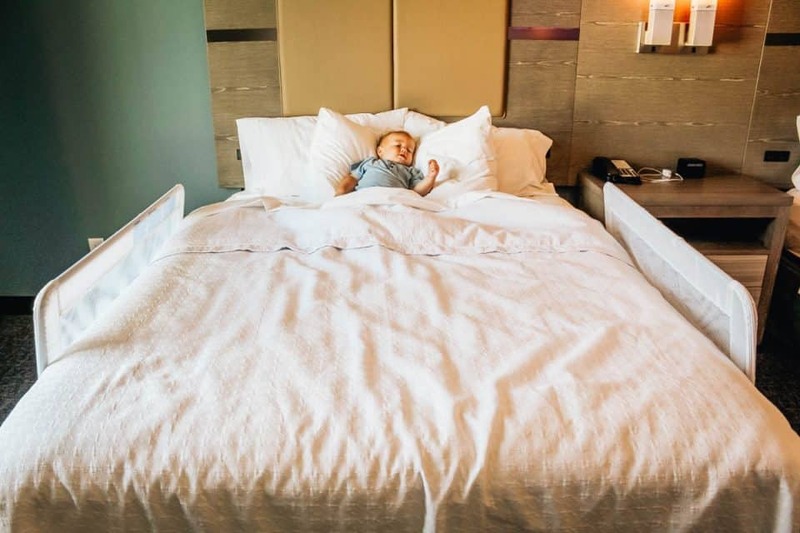 If your travels include a toddler, that can make the trip a bit challenging in terms of packing, sleeping arrangements, and organization. 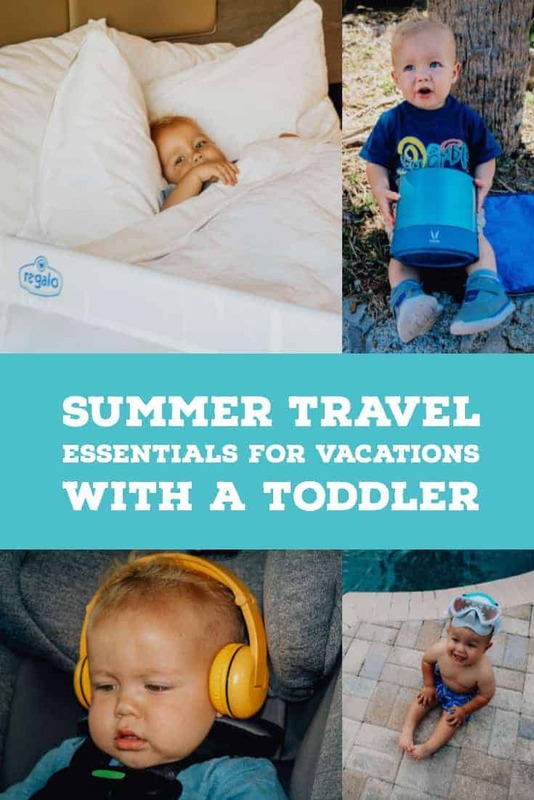 When you are considering what to pack for your summer travel with a toddler, the first things that come to mind are the obvious: clothes, diapers, gear, and some toys. 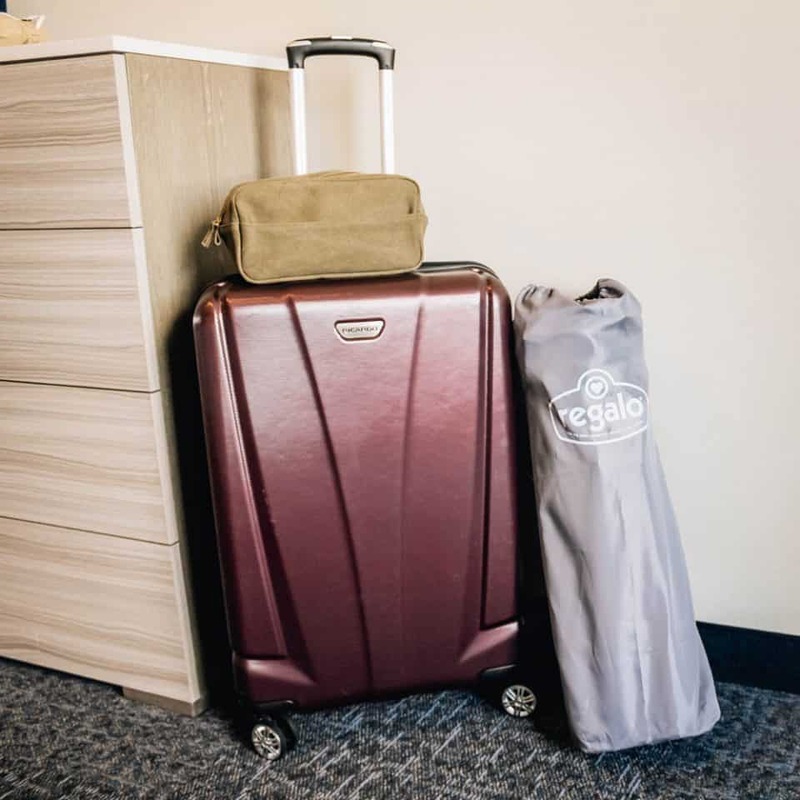 You get all of these items loaded into the car and then start your trip and begin to think along the way how you need “this” or wish you had “that”. 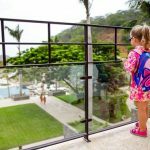 Luckily, we at Daily Mom have shared our tips and tricks for taking trips with a baby or young child together and compiled a list of things you didn’t know you needed when traveling with your toddler this summer. 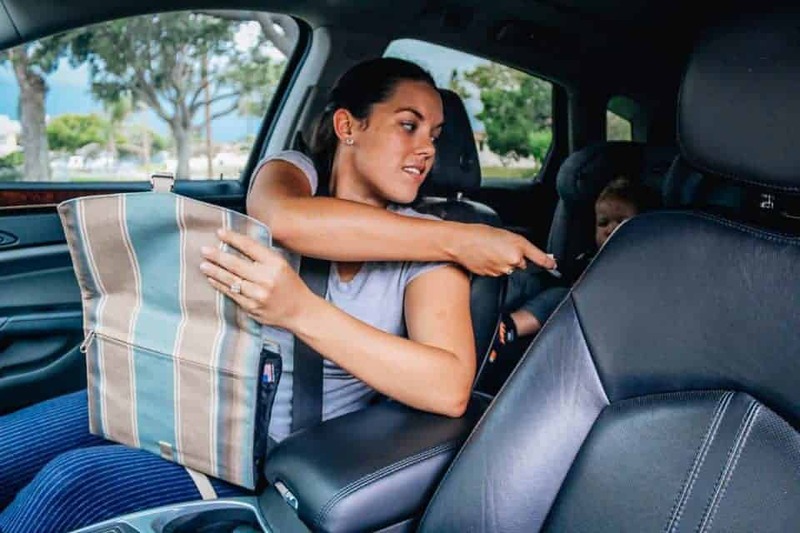 Traveling with a baby or toddler that is still sleeping in a crib can present an issue when taking trips. You’re obviously not going to disassemble the crib and take it with you, so where does your little one sleep? 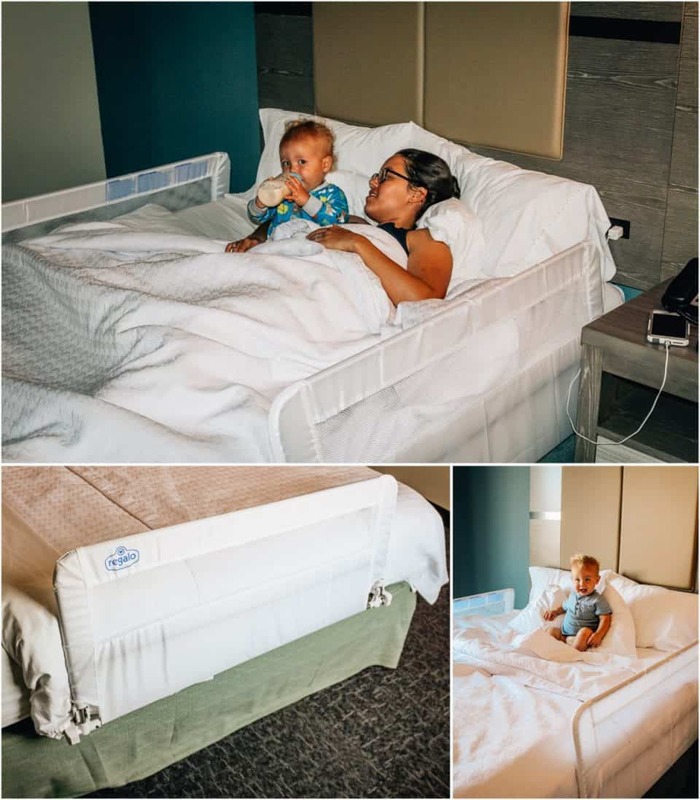 If a regular size bed is your only option but you are concerned about your child rolling off the bed, an essential item to pack is the Regalo Baby Hide Away Double Sided Bed Rail. 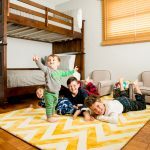 No longer worry about a potential fall because this system protects the child on both sides of the bed. 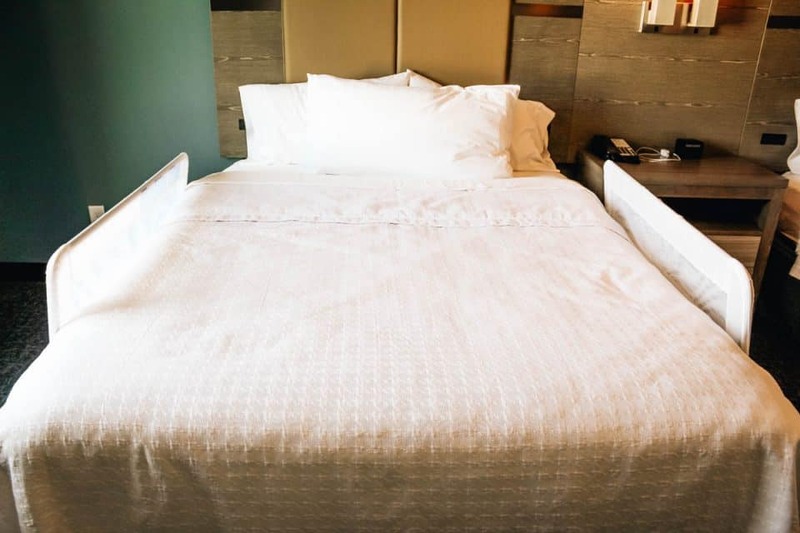 The rails extend 43 inches on each side of the mattress and can easily be installed to most mattresses. A bonus feature of the Double Sided Bed Rails in the Glide Trac System that hides the rails when they are not in use. When the child is not sleeping in the bed, tidy up by hiding the rails under the mattress. No tools are required to install the bed rails so you can easily move them from bed to bed quickly whenever needed. If your child moves around frequently at night, you can rest easy knowing they will be secured with the Double Sided Bed Rails. Having two rails is crucial for beds that are not against a wall. The all-metal frame will provide additional protection if your child does get close to the edge, it will prevent falling. 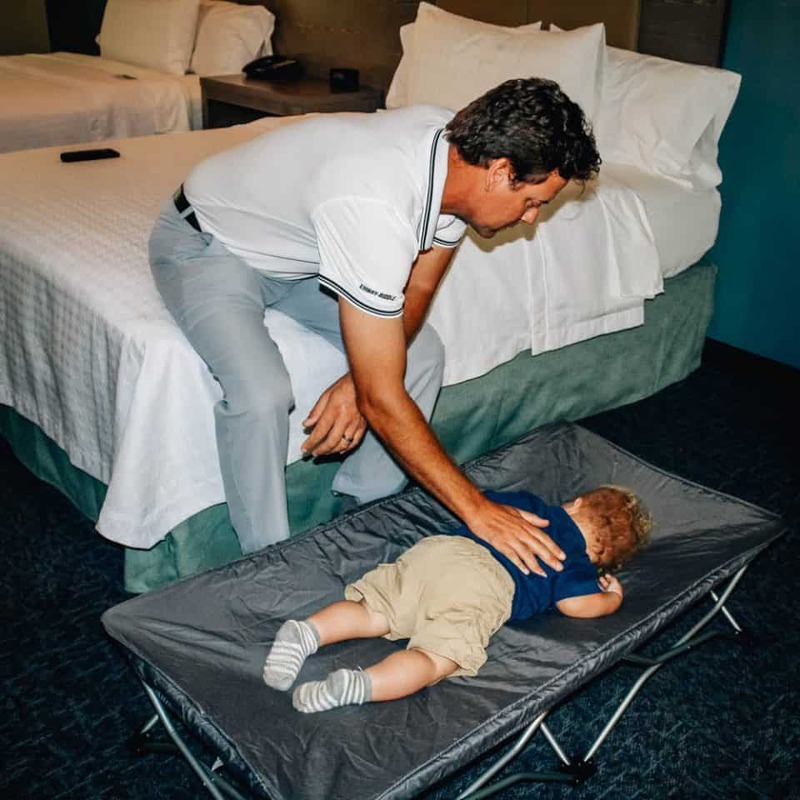 If you are traveling with your toddler and the place you are staying doesn’t have an extra bed for them to sleep on, a great option is packing a portable toddler bed. 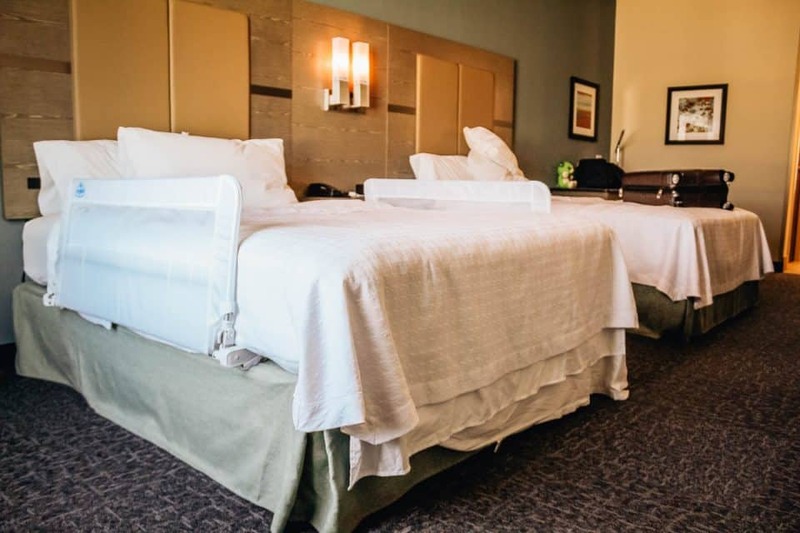 Whether you are at a hotel or staying with family or friends, there may only be enough bed space for you or you and your partner. 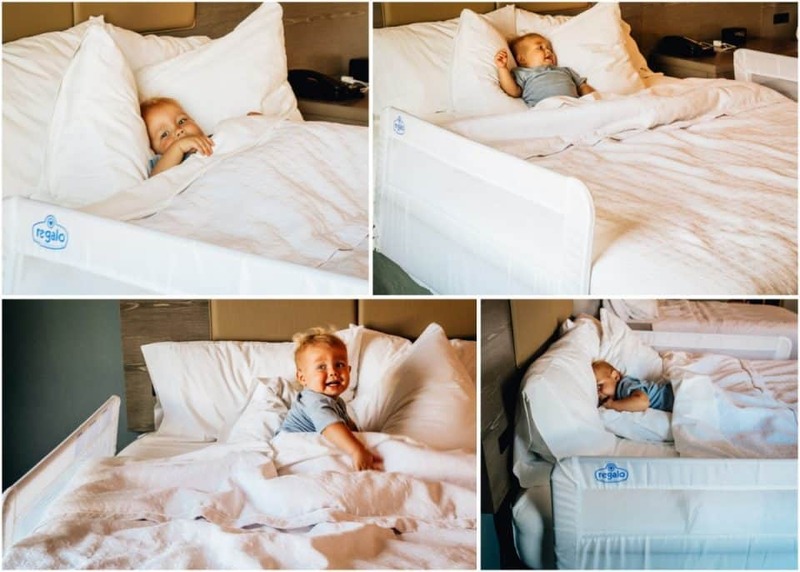 Instead of trying to squeeze your kid in bed with you or making them sleep on the floor, bring along the Regalo Baby My Cot Portable Toddler Bed. 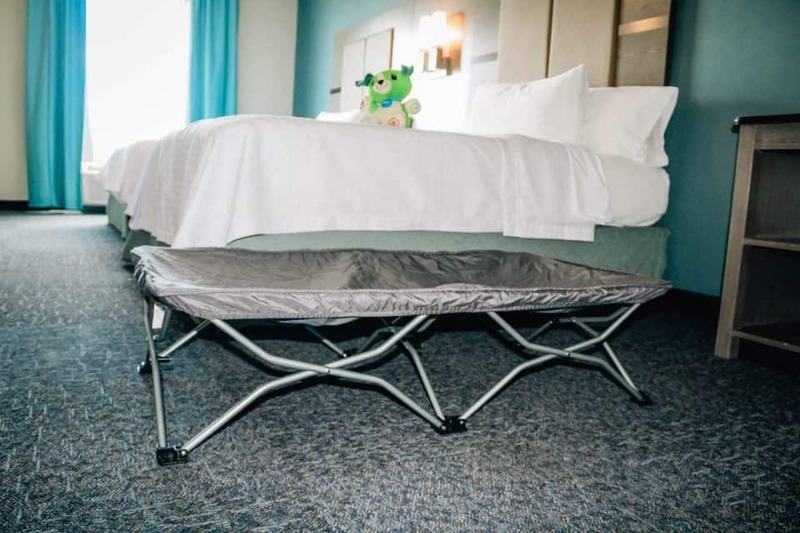 This is one of the best things to pack if space in limited or you don’t want to weigh down a suitcase and you need a safe place for your child to sleep. 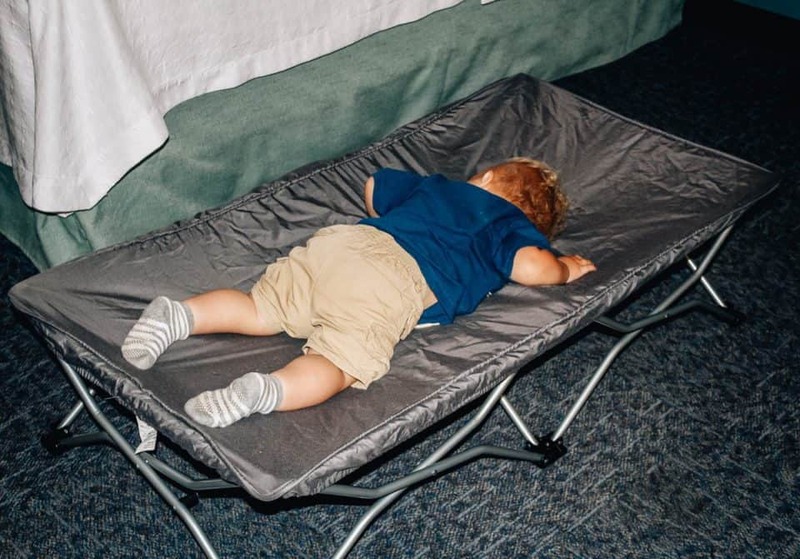 The portable toddler bed can open easily with no assembly required and folds up in seconds. Store, pack, and carry My Cot in the carrying case that is included. This cot can hold children up to 75 pounds and is perfect for children ranging from 2 to 5 years old. My Cot comes with a fitted sheet to add to the comfort of the bed. 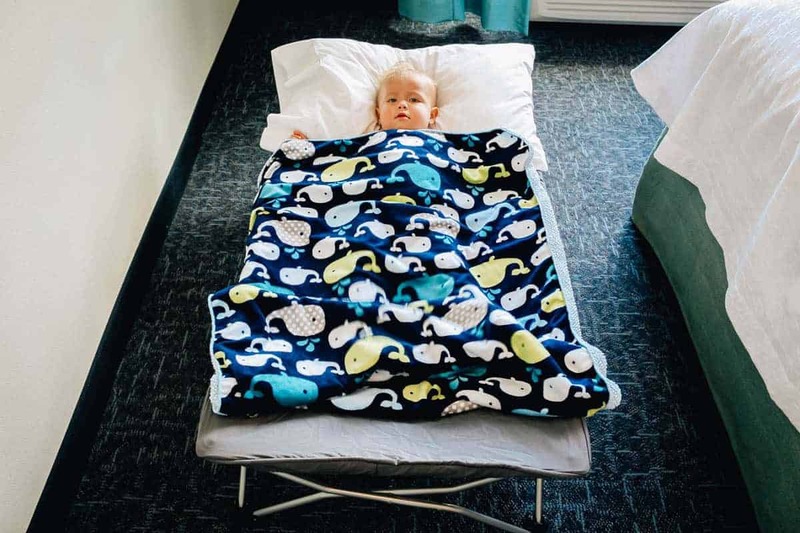 If your travels take you into the outdoors, this portable toddler bed can been used outside. 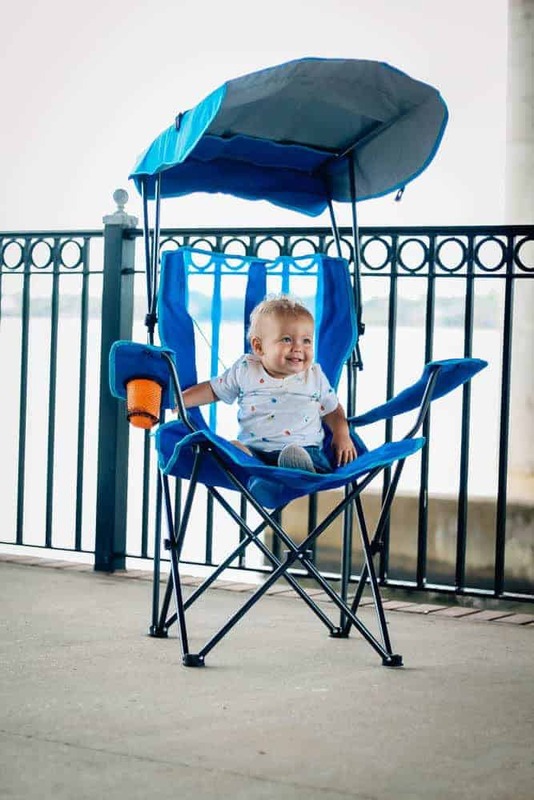 If you are tent camping or even need to give your child a mid-day nap at a picnic, it is so convenient to whip out the My Cot and lay your little one down. 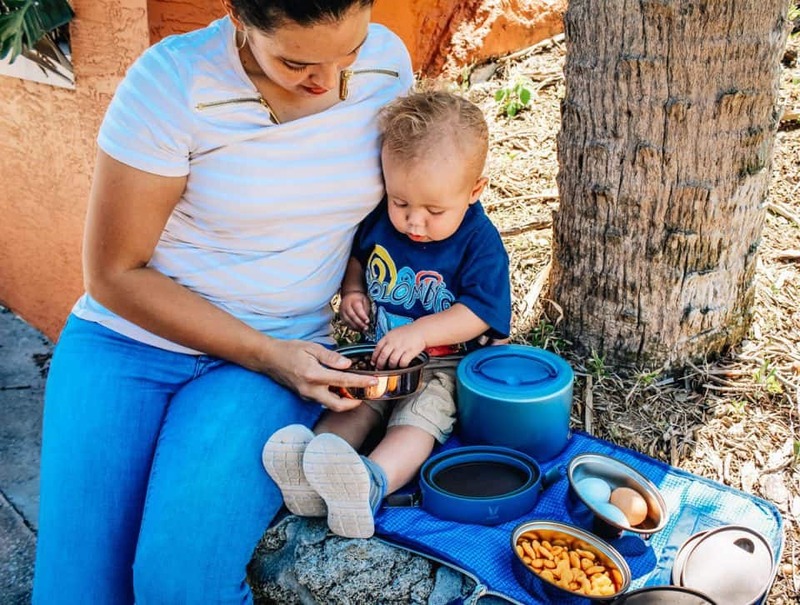 Snacks and meals for your traveling toddler are a must-have, especially on long trips. Avoid stopping at a gas station where your options are mostly limited to chips, candy, and other non-healthy food options whenever your child gets hungry. 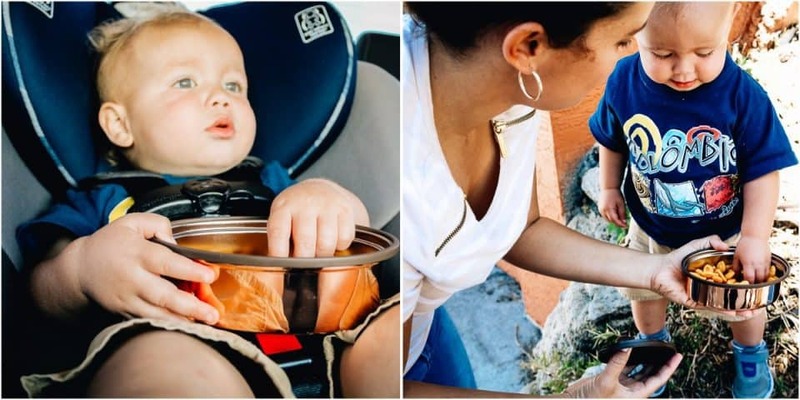 Before you leave for your destination, spend a little time prepping some snacks that you can easily feed your child either while driving in the car or taking a quick pit stop. 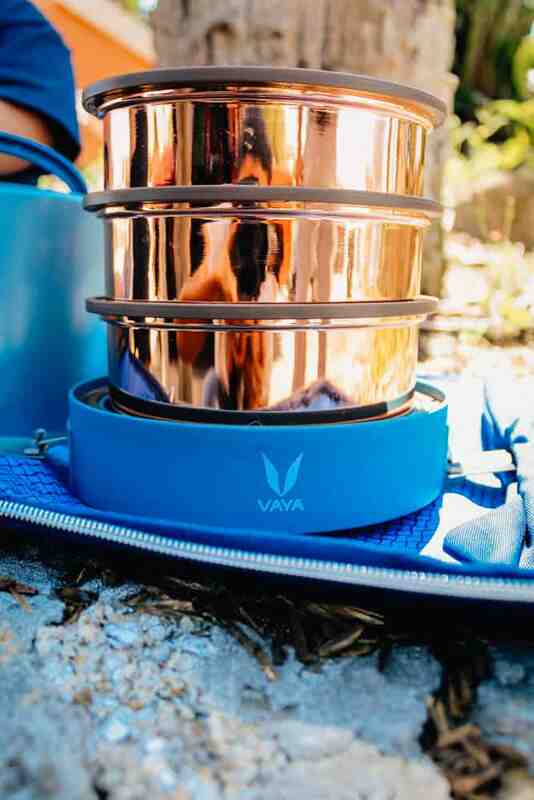 The Vaya Tyffyn Lunchbox is one of the coolest and most efficient lunchboxes on the market. If your car is packed to the brim and space for a cooler of food is nonexistent, this is the food storage system that you need. There’s no need for ice that will melt or bulky ice packs that will take up unnecessary space. 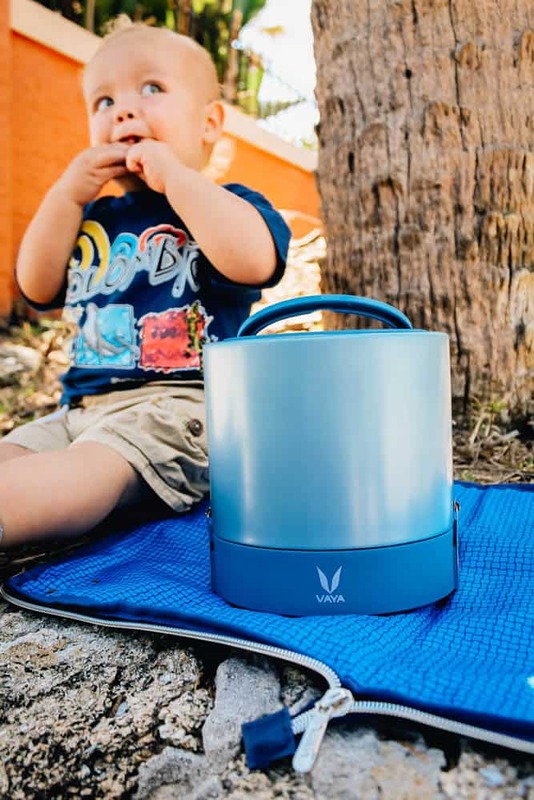 The slim body of the Vaya Tyffyn lunch box allows it to fit easily into a bag and the VacuTherm Insulation can keep the contents both hot or cold for up to six hours. 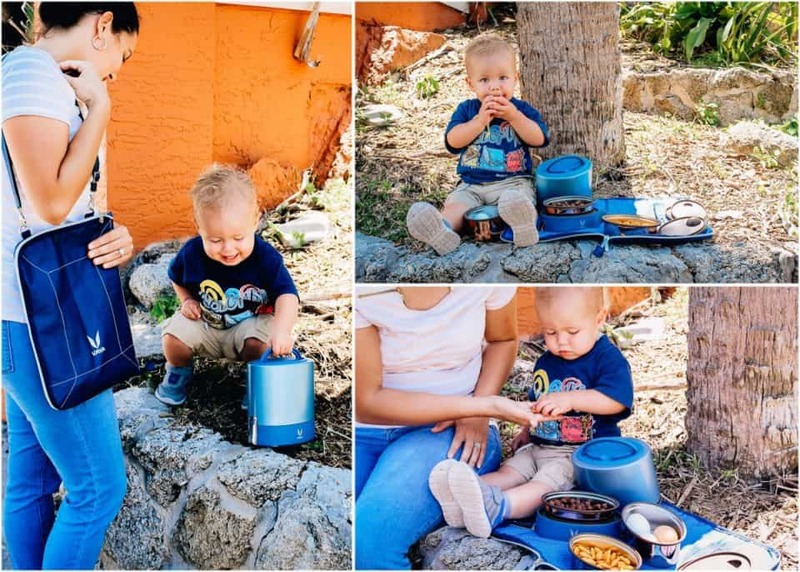 The lunch box is comprised of 3 copper-coated stainless steel containers that stack on top of each other and are carried in a outer container that keeps the containers organized and spill-proof. Use the included dividers to store two different food items in next to each other without them mixing. 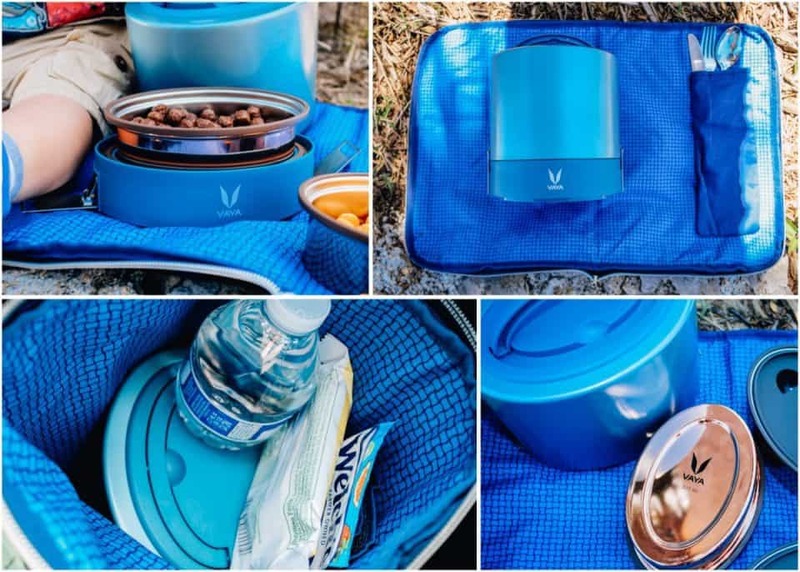 The entire container can be carried in the convenient Bag Mat that not only holds the lunch box but has has a pocket for utensils as well as space for drinks and other food items. The bag unzips and transforms into a placemat to dine on. This provides a clean eating area when you are wanting to avoid the germs and dirt of a rest stop table. 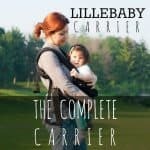 Don't you hate when you are traveling either in a car or airplane and your toddler asks you for something that is not within reach? 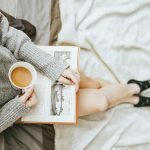 It is a hassle to either pull over to get something out of a suitcase in the trunk or try to sort through your bags in the overhead compartment of a plane to find something that your child is screaming for. 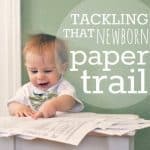 To avoid this, try keeping a few essentials close by so you can easily and quickly give your child the item they are wanting. This does not require a huge bag that will take up valuable leg room. The Flightline Travel Tote is a slim portfolio that will not only hold different travel items but will also keep them organized. 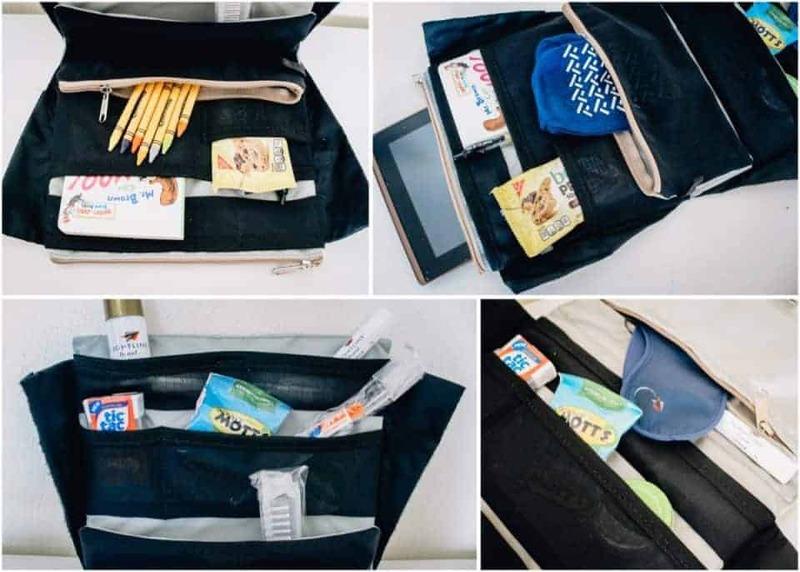 Although the travel tote is compact, it can easily hold numerous necessary travel items in its 13 interior pockets, one of which is removable. 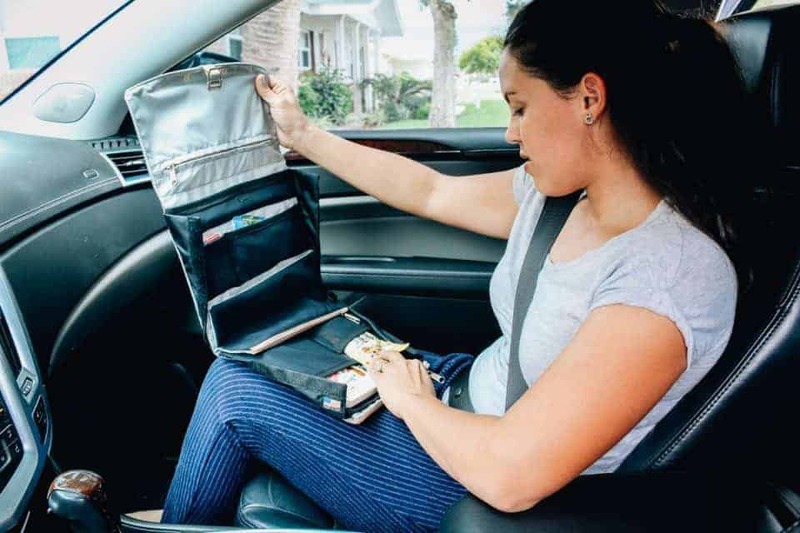 The Travel Tote can easily fit under the seat of a car or in the seat-back pocket of an airplane seat. 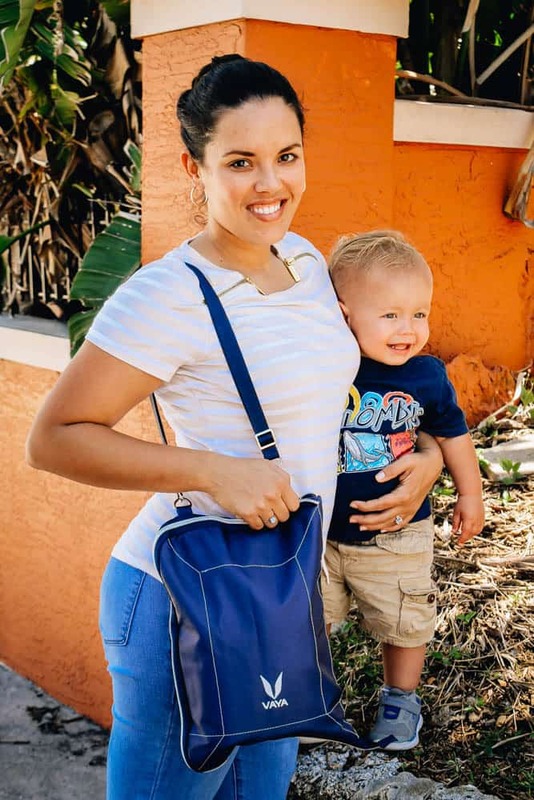 The tote is also equipped with a hanging tab that allows it to be hung on the back or a sink or above a restroom sink to prevent it from touching bathroom surfaces. Summer travel throughout various locations will most likely involve some type of bug encounter. 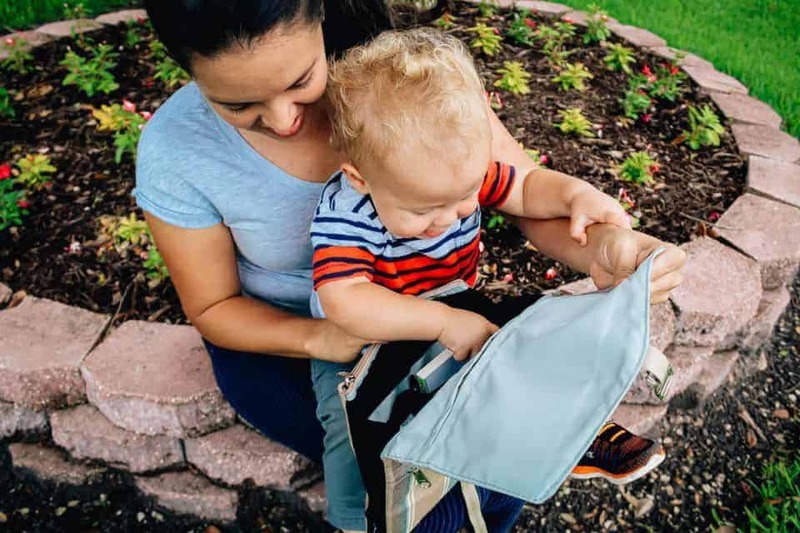 Protecting yourself and your child from insect bites is crucial when traveling. 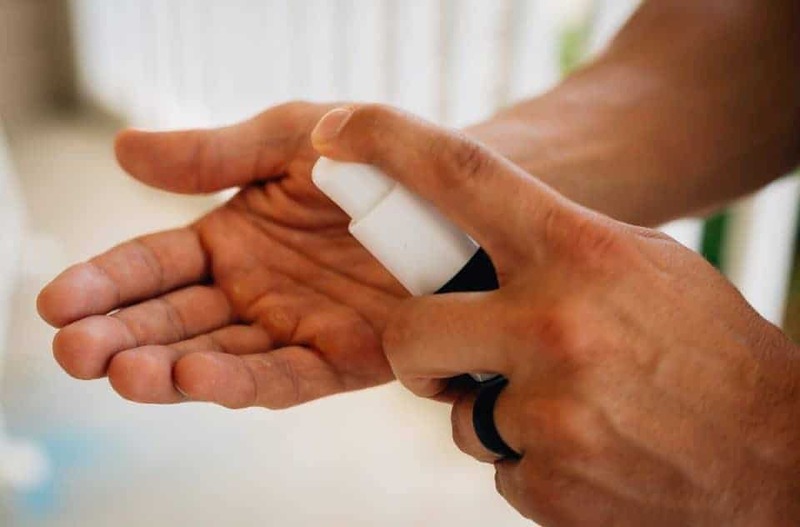 To avoid scratching bug bites and irritating your skin, apply insect repellent before you leave the house if you are planning on enjoying the outdoors. 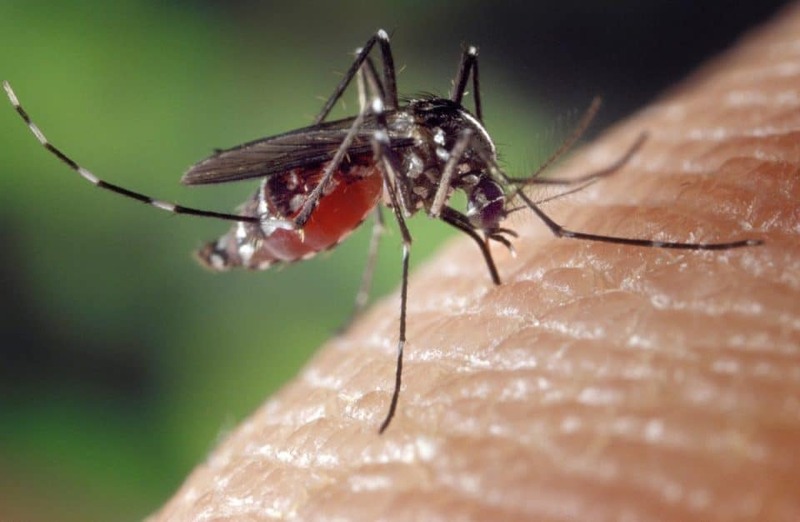 Children’s skin is more sensitive than adults and multiple bug bites are more difficult for children to refrain from touching pestering insect wounds. 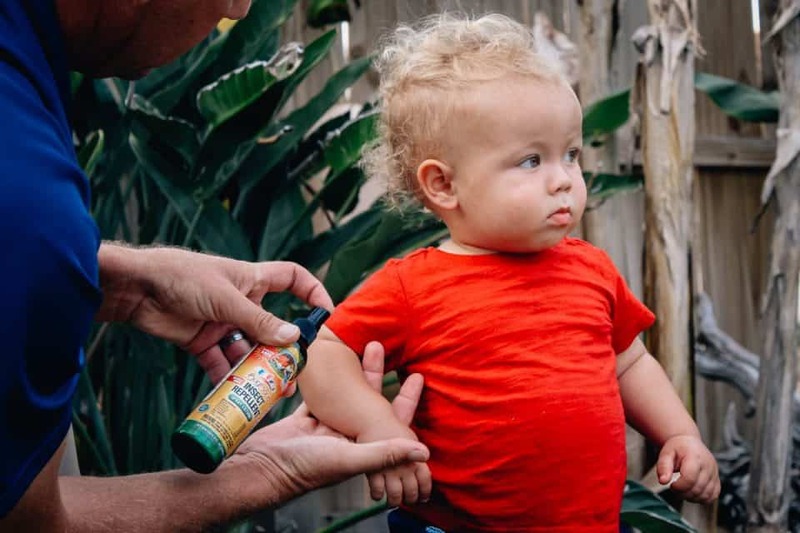 The Center for Disease Control and Prevention recommends that you do not apply insect repellent directly to your child’s skin. Instead, spray the insect repellant directly onto your hands and then apply to your child’s body. 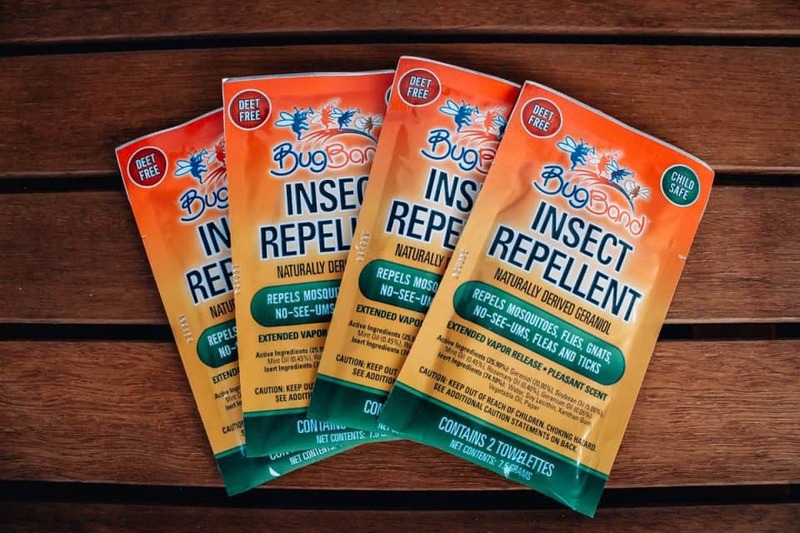 The Bug Band Insect Repellent Spray Lotion is a perfect spray option when traveling to a destination that may inhabit mosquitos or other bugs. The Spray Lotion is DEET free and can be applied directly onto clothing or skin. The fine mist from the Spray Lotion helps to evenly spray the repellant over the desired area. Make sure to also avoid getting any insect repellent on your child’s hand to prevent them from then touching their eyes or mouth. 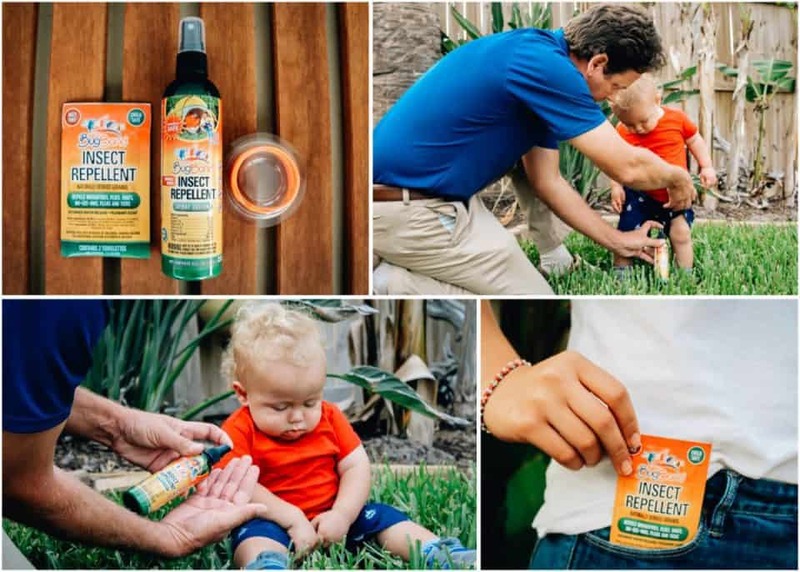 If you have a child that won't sit still to be sprayed with insect repellent, the Towelettes with Insect Repelling Lotion may be another item you should pack when traveling with a toddler this summer. Each pack contains two lotion-wetted towelettes in each package that make applying insect repellent much easier. These towelettes are ideal for traveling because their small size allows you to fit them in a pocket or carried in a purse or diaper bag. For a more long-lasting effect, the Insect Repelling Bands can be worn on the wrist of both children and adults. The Repelling Bands create a shield around the individual's immediate area, protecting them from mosquitos. If you are participating in water or physical activities that may rinse off or dilute insect repellent lotion the Bug Bands are a must-have. 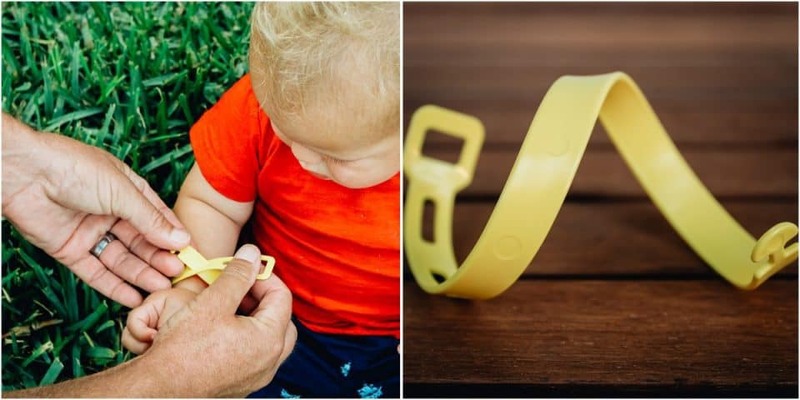 If your child does not like wearing the Bug Band, it can be clipped to clothing, tents, or strollers to continue to protect everyone in the area. The Bug Bands are available in multiple colors including glow in the dark to keep a closer eye on toddlers when the sun sets. The Bug Band Bands can be stored in the reusable plastic pod when not in use to reuse and last up to 120 hours. No matter where you are, kids are bound to get bumps and bruises at some point. If you are vacationing and your child is injured, you won’t have access to the wound care items you keep in your medicine cabinet at home. Something you should always take when traveling, especially if you have a toddler with you is a first aid kit. There’s no need to take large boxes and full size items of all the supplies, but instead make a smaller version of you at-home medical kit. 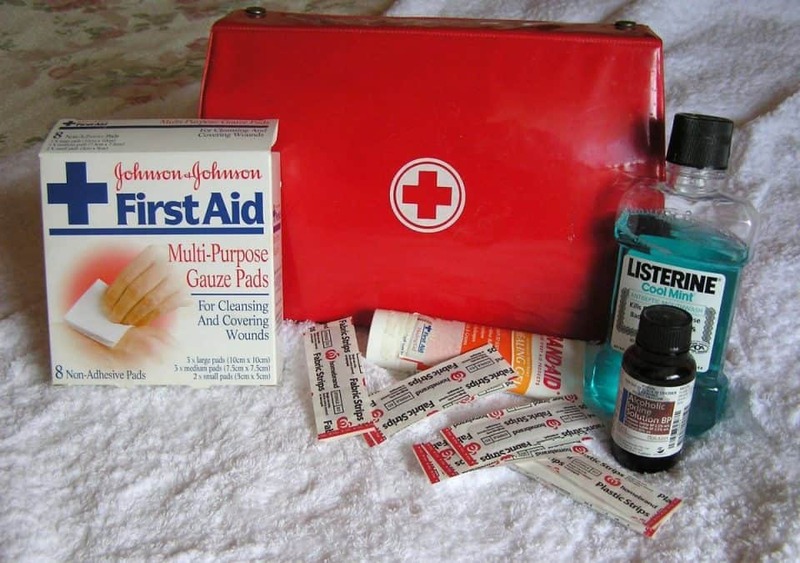 If you have an extra wipe container or make-up bag around, they will make for the perfect travel first aid kit. 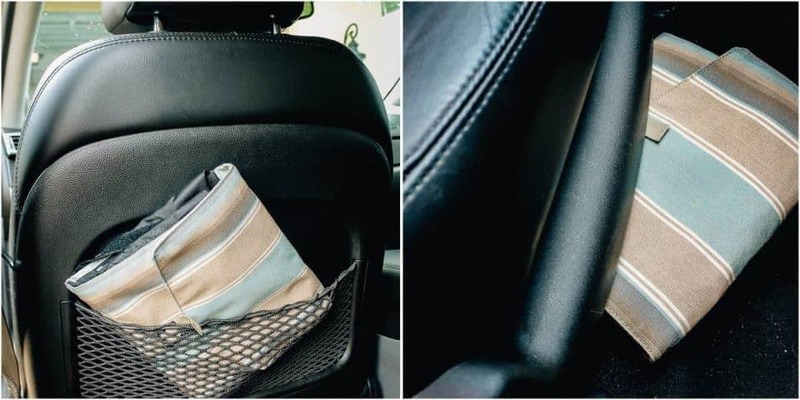 Stick it under a seat in the car or pack it in your suitcase and access it when necessary. The Red Cross recommends that you check your first aid kit regularly to ensure that it is always stocked and that contents are not expired. 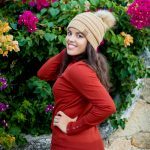 When it comes to choosing the brands and types of first aid items to put in your travel first aid kit, all-natural and organic ingredients are what you should look for. 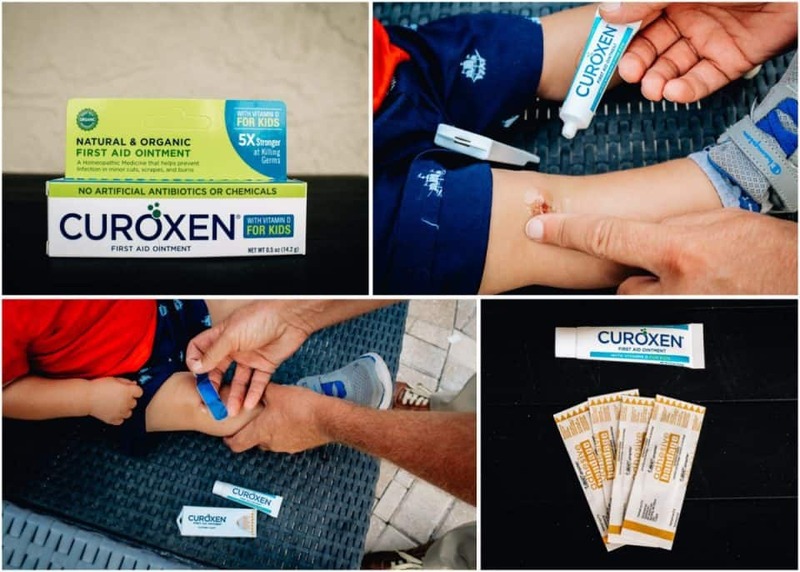 The first aid ointment by Curoxen is a homeopathic medicine that helps prevent infection in minor cuts, scrapes, and burns. The Curoxen First Aid Ointment with Vitamin D for Kids is specially formulated to be safe for children. The gel kills five times more bacteria than antibiotic ointments such as Neosporin. 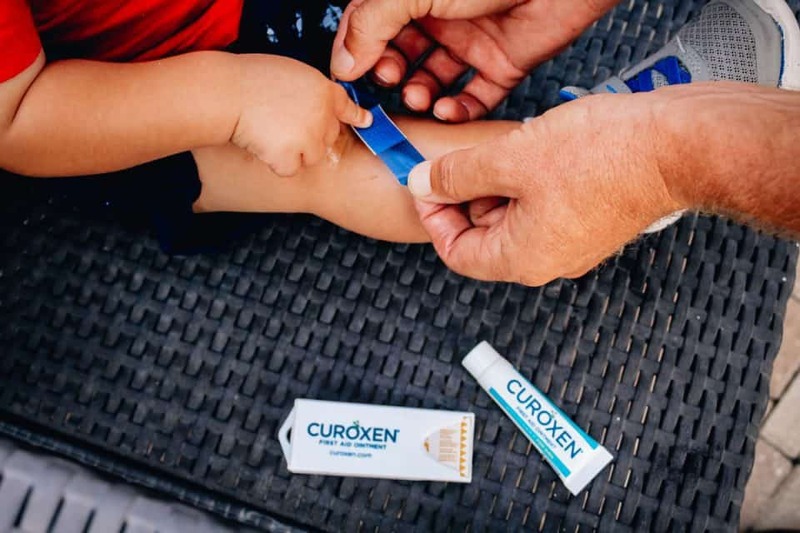 Made from organic olive oil, the Curoxen Ointment for Kids has no chemicals and is proven to promote cell repair and growth, speeding up the healing process. After spending a day in the sun with your little ones, you will want to make sure their skin is taken care of before you head to bed. 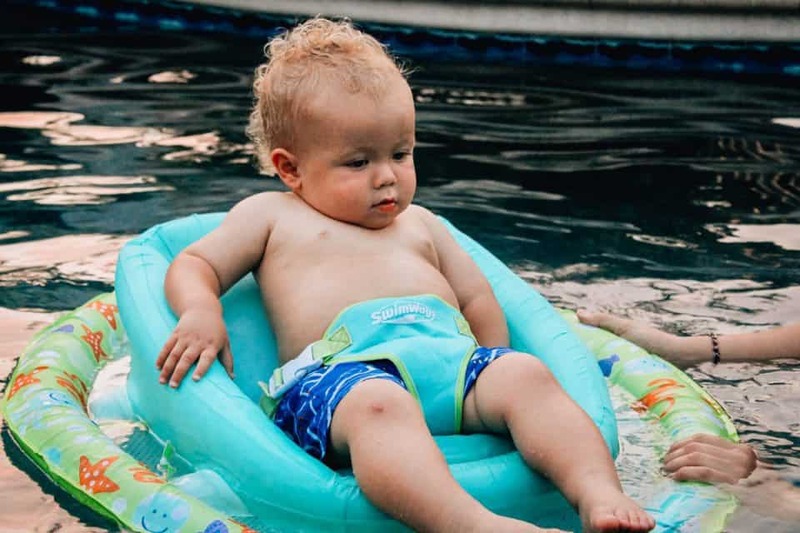 Even with sunscreen, the sun's rays can still make your toddler's skin raw and sore, especially when out in direct sun like with little clothing like at the beach or the pool. 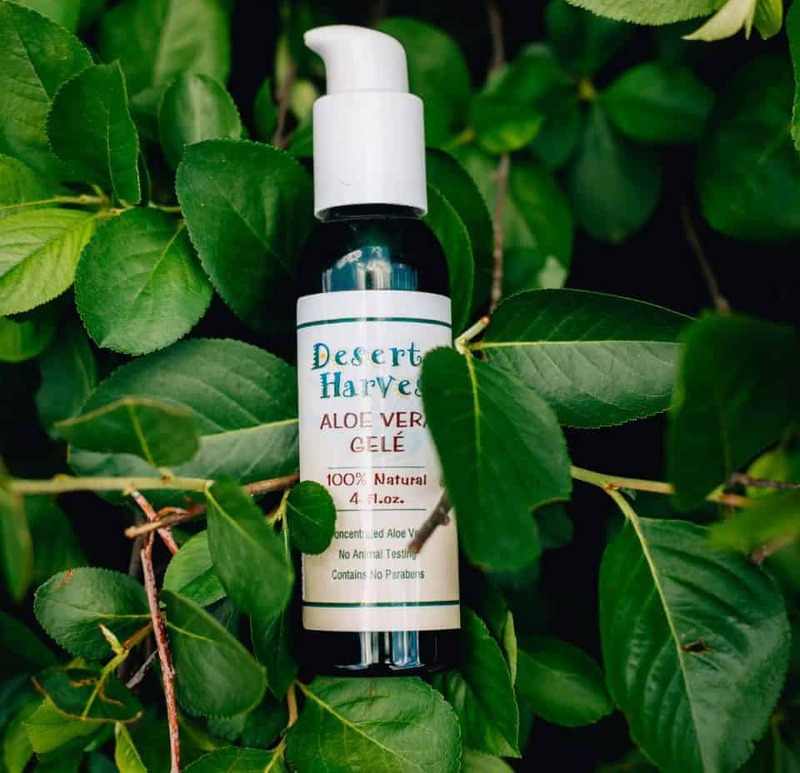 A good, safe aloe vera lotion can help to relieve the pain brought about by too much sun and help prevent sunburns and peeling on your toddler. Desert Harvest Aloe Vera Gele is made with 80% pure aloe vera concentrate. 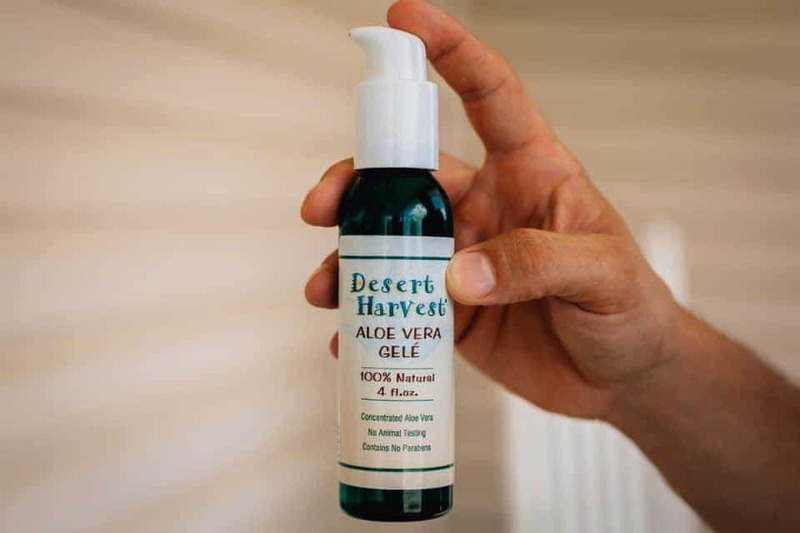 It is a cold-pressed gel made to help relieve minor skin burns, wounds, and irritations. It can help decrease swelling, relieve pain, and heal your little one's skin after they have been in the sun too long. 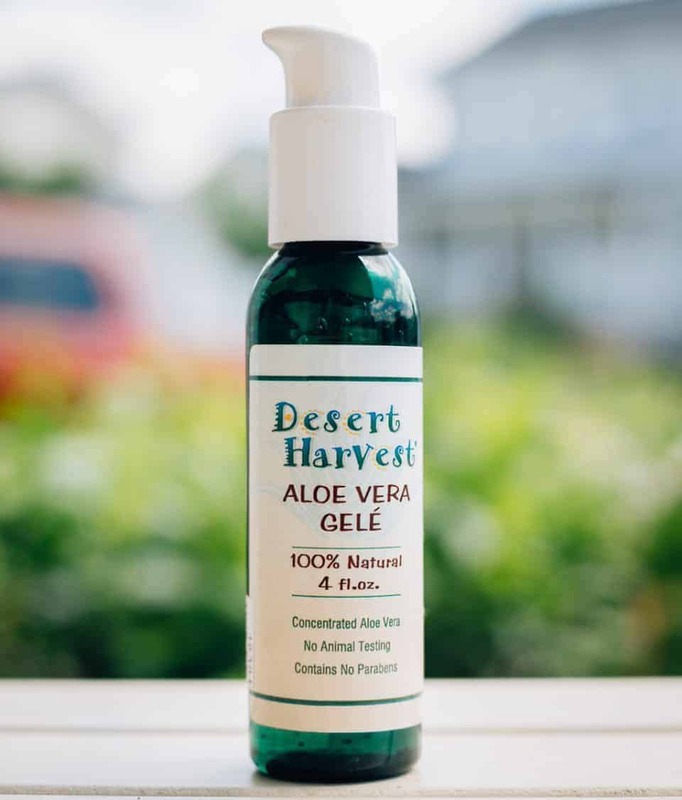 Desert Harvest Aloe Vera Gele can be used as a preventative measure or when relief is needed. It is safe for the whole family, too- it is 100% natural and contains no parabens. 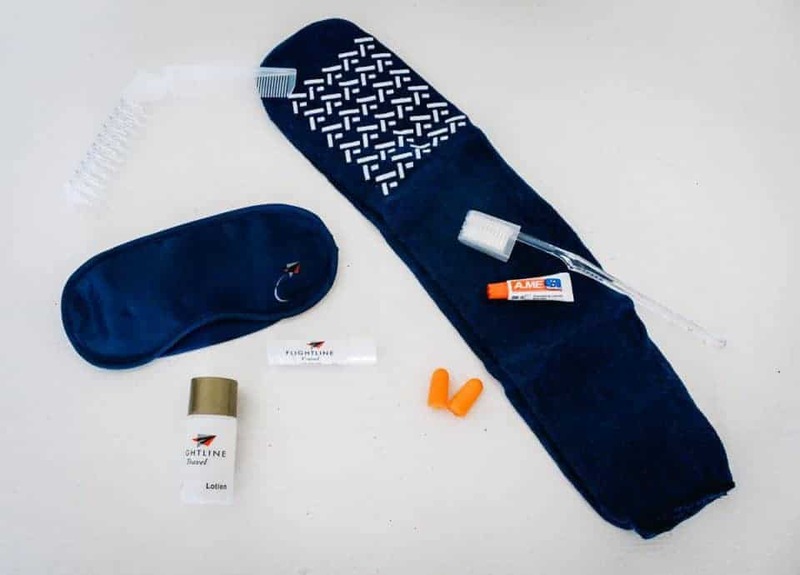 Use it to relieve redness, swelling, or to prevent skin peeling during your family vacation. 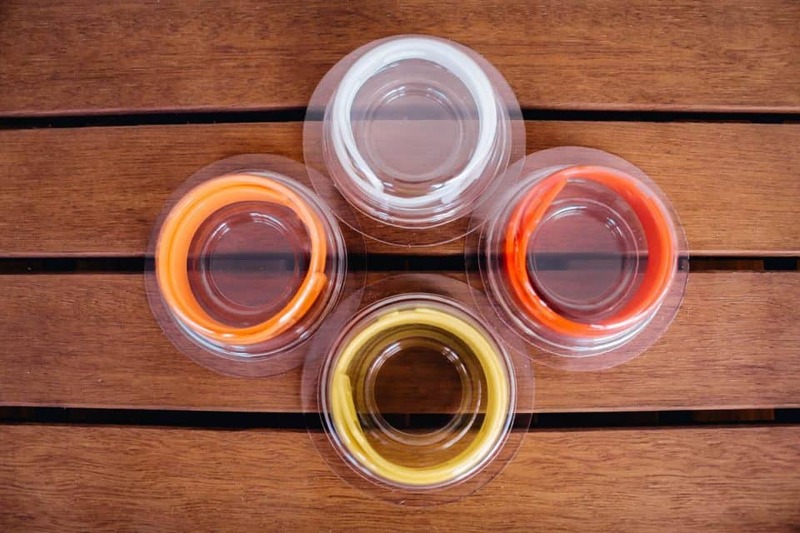 The small, resealable bottle makes it perfect for traveling or even for at home use. 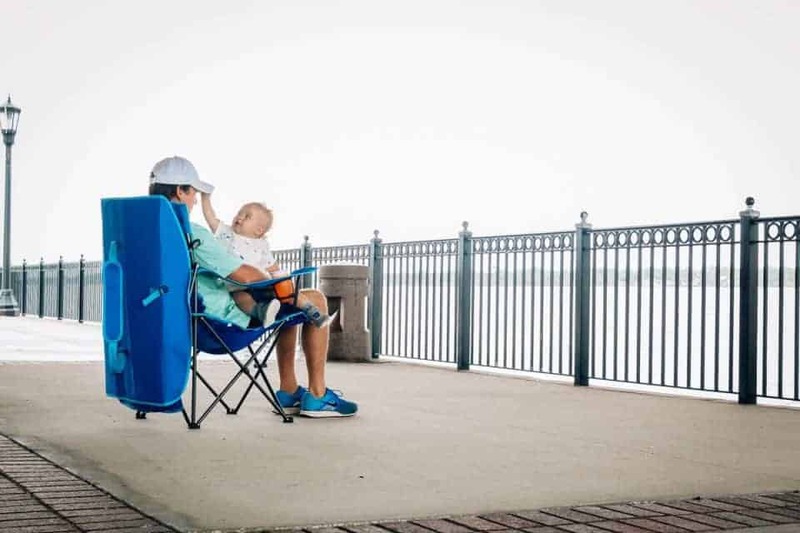 A portable chair may not be the first thing that comes to mind when deciding on the things you will need during your summer trip, but you won't be sorry for bringing it when your toddler wants to stop and play or run around and there's no place to sit. 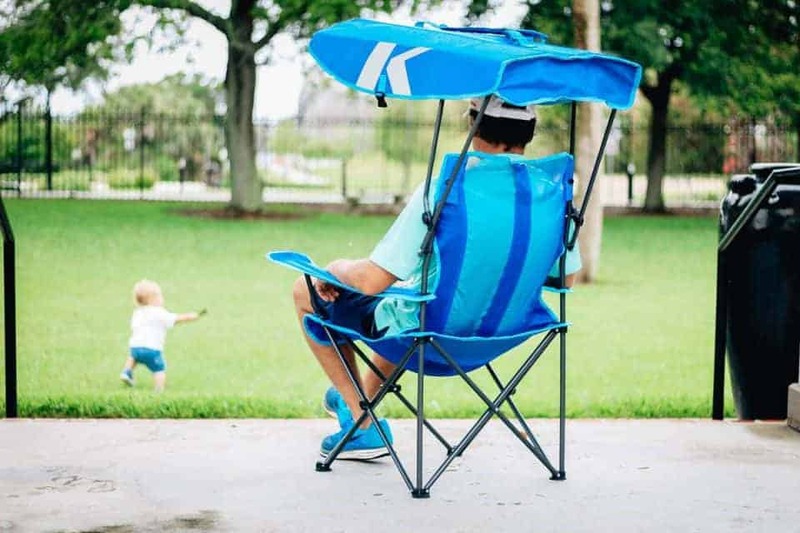 The SwimWays Original Canopy Chair will not only allow you to have comfortable seating wherever you go but also provide you with much needed shade or protection from rain. 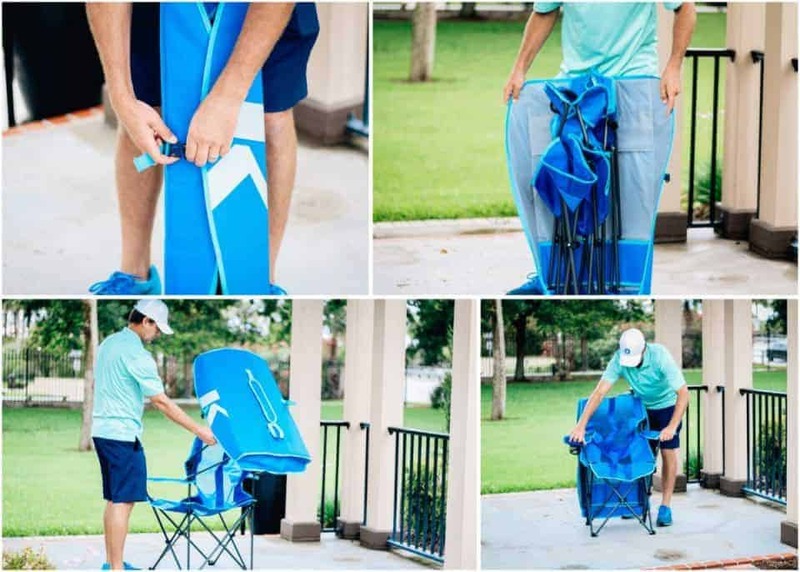 You are able to minimize your items because the canopy part of the chair can be secured around the chair when it is in the folded position to become a carrying case that is equipped with a padded shoulder strap for hands-free portability. 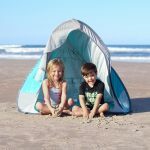 Trips to the beach, picnics in the park, outdoor concerts, or hanging around a campfire don't have to be enjoyed standing or sitting on the ground. The Original Canopy Chair is light and easy to transport and quickly set up. The oversized seat provides ergonomic support and the mesh fabric is breathable, keeping you cool during the summer. Place your favorite cold drink in the attached cup holder and relax while watching your toddler enjoy the outdoors. 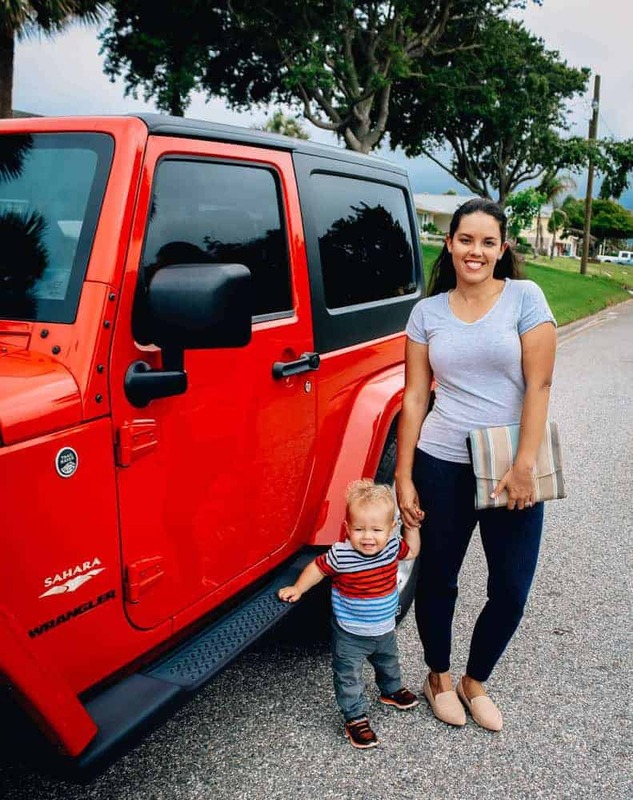 Keeping your toddler happy in the car, plane, or train is the ultimate goal when on the road for an extended period of time. 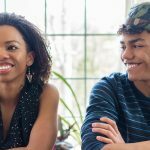 Occupying your child with food, activities, and technology will in turn help keep your sanity. "I spy" can only last so long before you just need a little quiet time. That is why headphones for your kids are something you just cannot travel without. Whether your children are listening to music, watching a movie or playing a game, you may not want to hear all of the associated audio. 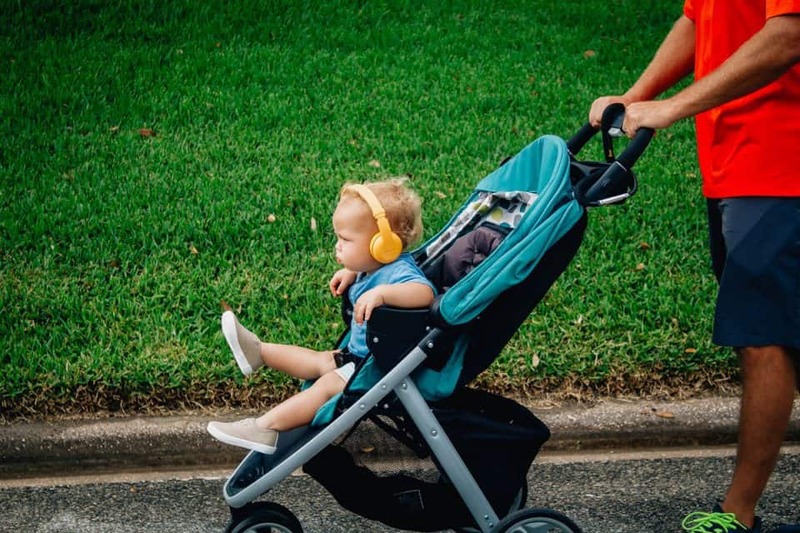 Give yourself and other adult riders some silence or the music you want to listen to by packing BuddyPhones headphones for each of your kids. 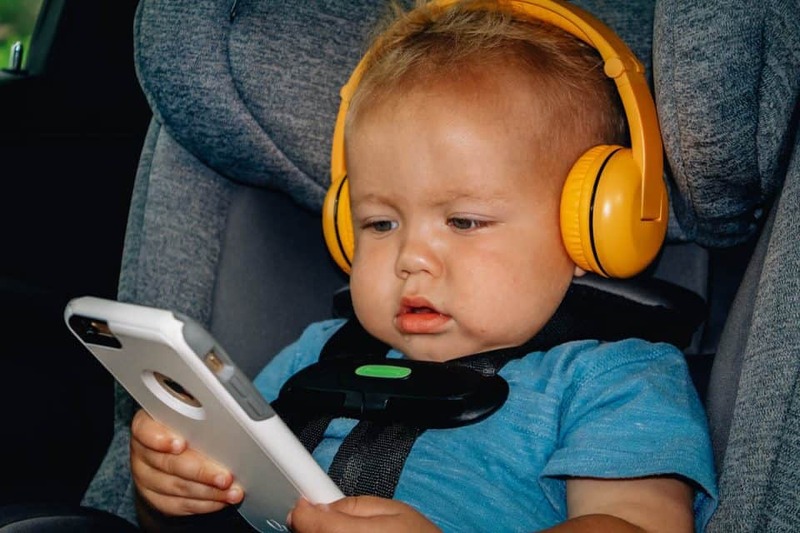 BuddyPhones are the kid-safe, kid-proof, and kid-friendly headphones that provide the safest sound available for children. These headphones are volume-limiting so even if the listener turns the volume to the maximum level, they will not blow their eardrums. The BuddyPhones PLAY are the wireless headphones version that have a 15 hour battery life with a 30 foot range. 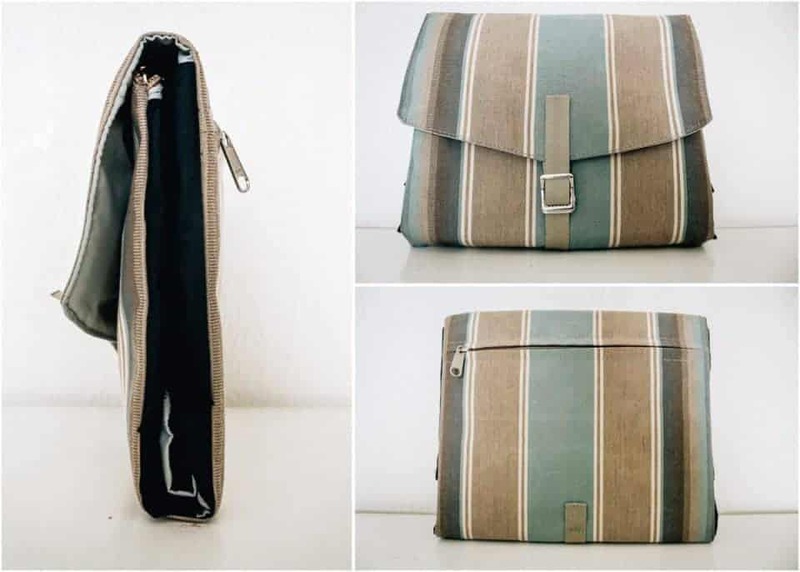 They are easily foldable to be stored in the included carrying case to accompany you all trip long. The headphones come with fun stickers allowing the child to customize their headphones however they desire. 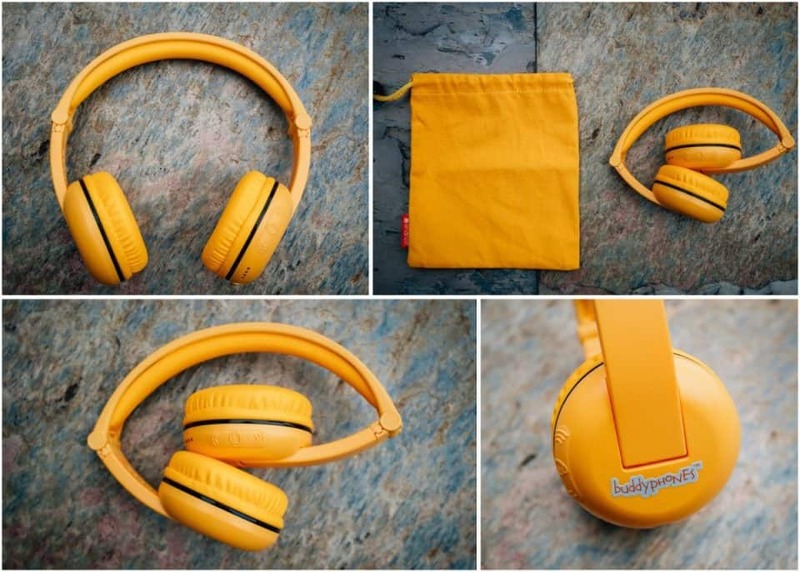 Although these particular headphones are wireless, they include an audio sharing cord that allows multiple kids to listen to the the same device. Summer is here and it’s time to cool off in the water. Many summer vacations that families tend to take are to warm locations centered around enjoying beaches and pools. Kids and parents have been looking forward to this season all year and are ready to swim. If you are planning on taking a trip that is going to involve swimming, you should dedicate some packing space to floats and water toys. 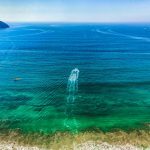 Children can have fun splashing around with some fun toys and activities while parents enjoy soaking up the sun and relaxing in the cool water on a float. 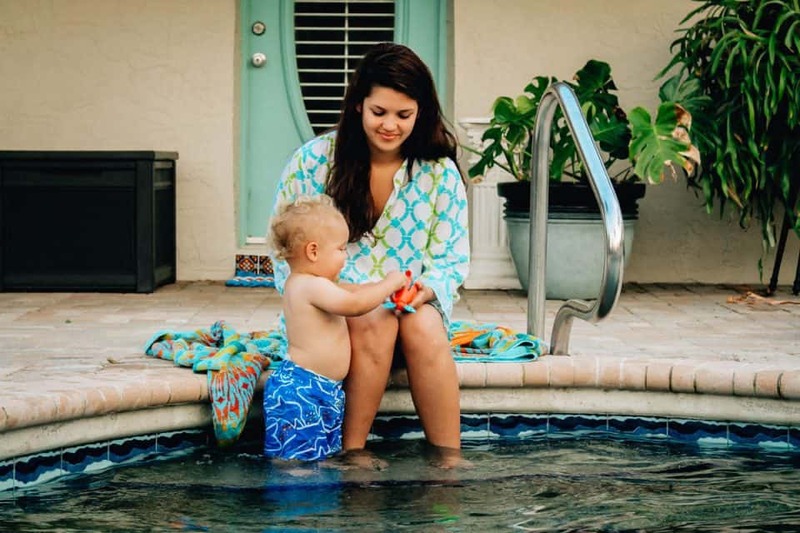 From infants to teens, SwimWays has you covered with some awesome must-haves for your vacation this summer. Whether you want to play or just float around, the options are endless. 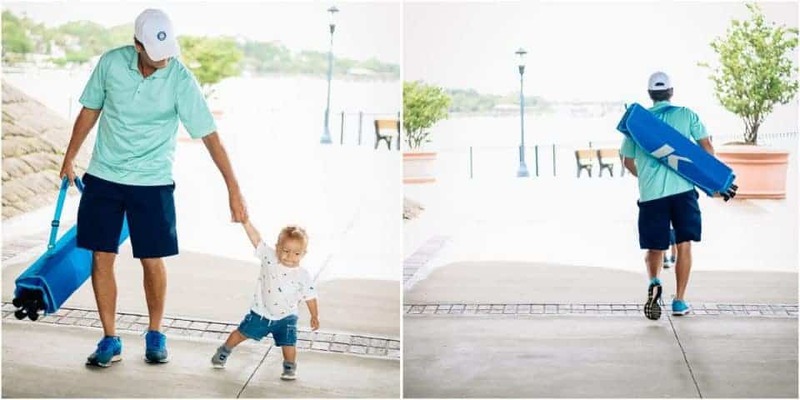 Babies will want to cool off on your summer trip too. 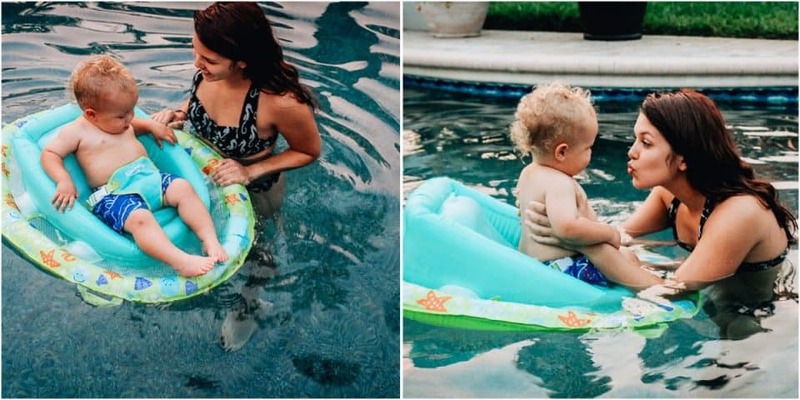 To take your infant in the water with you safely, Swim Ways offers an Infant Baby Spring Float with Sun Canopy that you will use all vacation long. 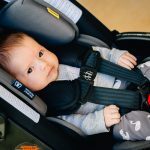 Your child will be safe in the float with the 3-point harness that will strap them in securely and the wide base that ensures stability. Baby will be protected from the sun with the canopy that provides UPF 50+ sun protection. Take your float with you from pool to pool with the included carrying case. 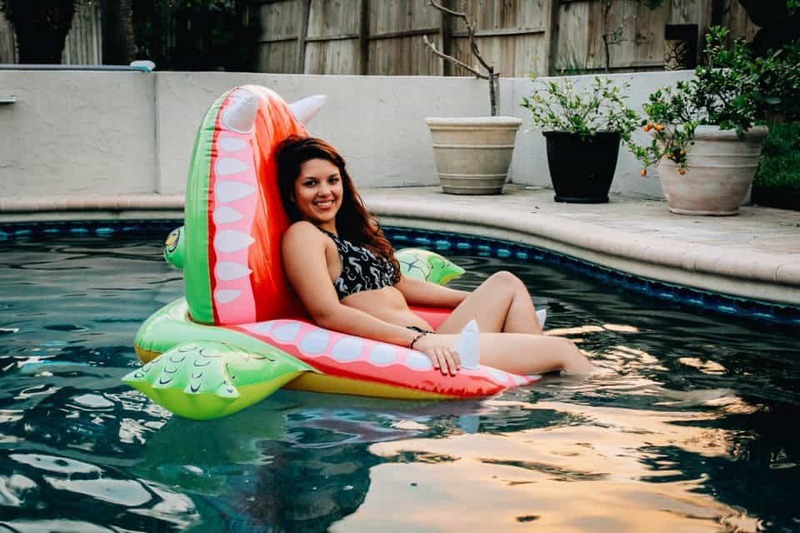 Get eaten alive with the Eaten Alive Pool Float that will have your older kids laughing while enjoying a float. 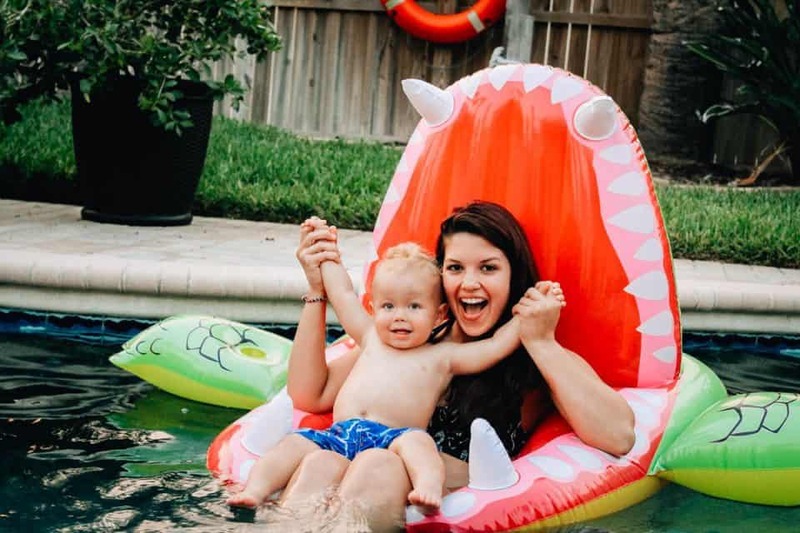 Your children will love sitting in the mouth of an alligator surrounded by teeth while they splash around in the pool during your summer travels. This float is perfect for children age five and up and is great for pictures to document your trip. 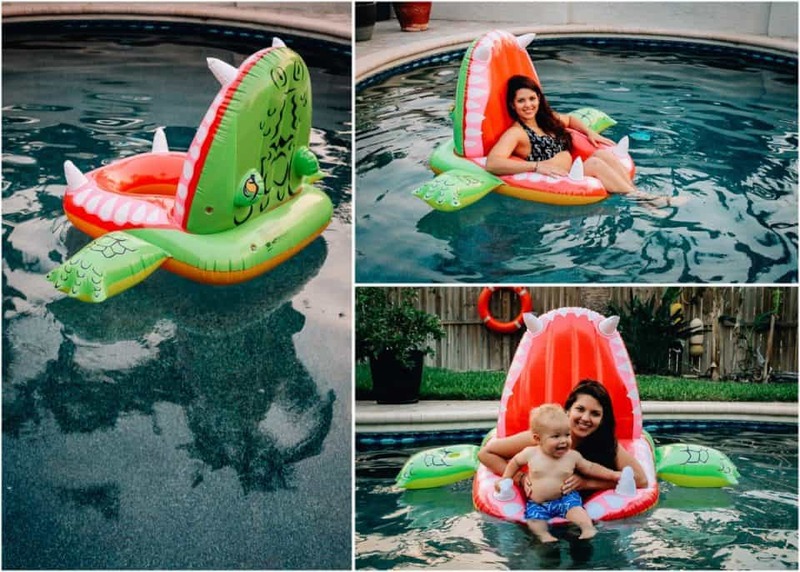 When your kids are not using the Eaten Alive Pool Float, it is the perfect float for adults. 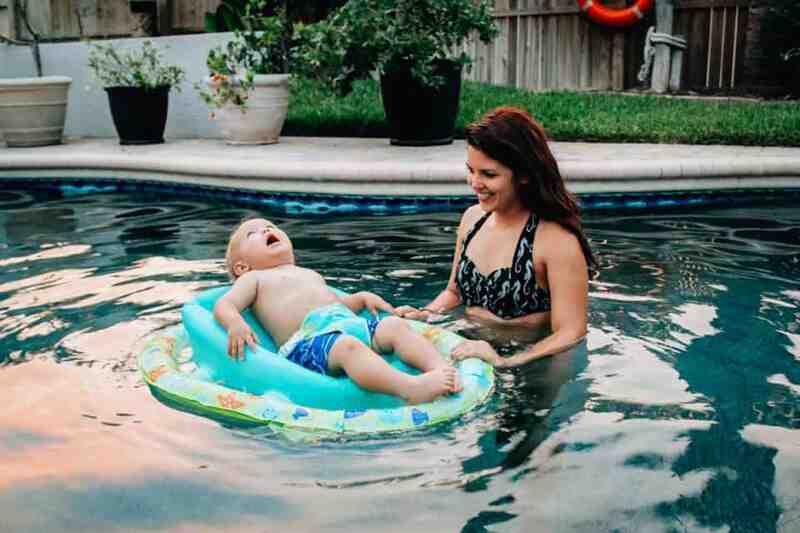 Let mom have a turn floating around, soaking up the sun, and enjoying the water. Grab your favorite frozen drink to put nearby in the attached cup holder and just sip and relax. 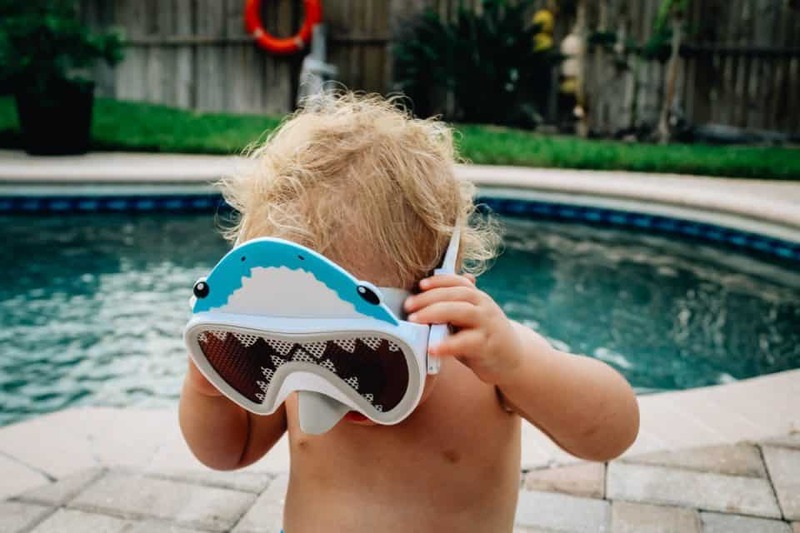 Goggles and swim masks are definitely things you should be packing if your traveling anywhere where your toddler will be swimming. To avoid stinging and blurry eyes from your kids opening their eyes under water, it is important to bring along swim masks. 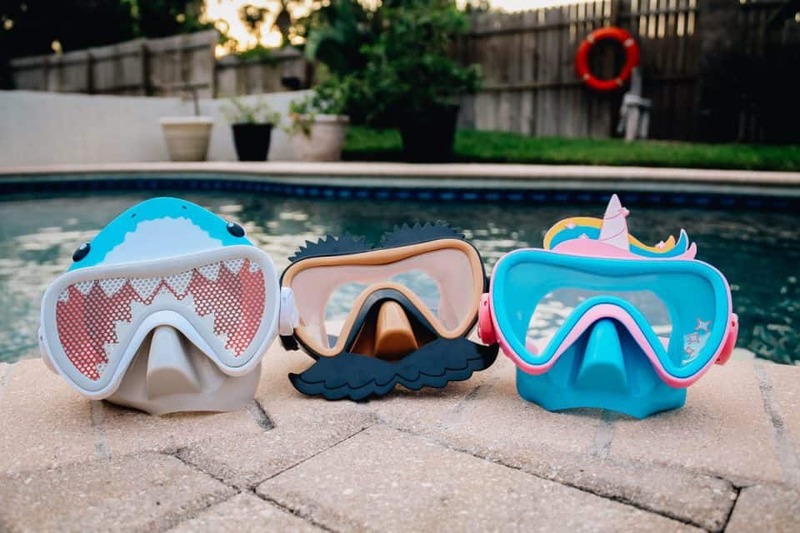 The Funny Face Swim Masks will not only protect your child’s eyes but also add some style to their pool or beach activities. 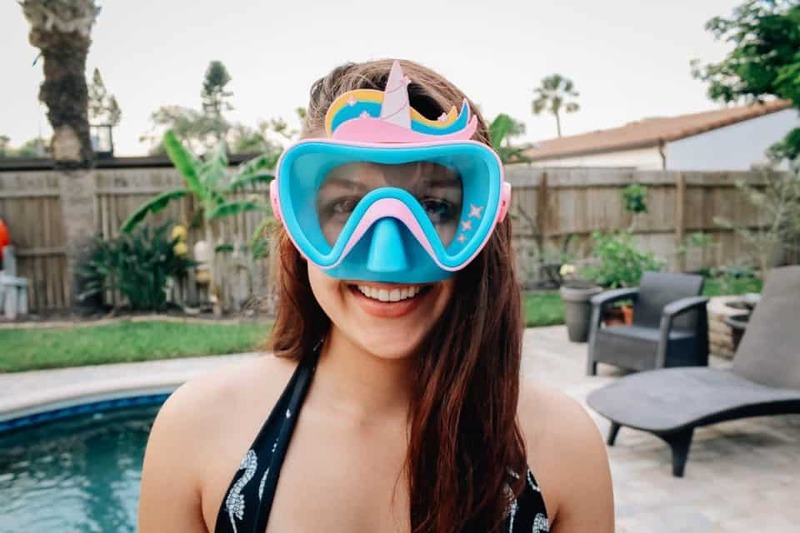 The Swim Masks include an easy-to-adjust head strap that provides a comfortable fit while leak-free. The Funny Faces are great for both boys and girls and come in a Shark, Mustache, or Unicorn characters. 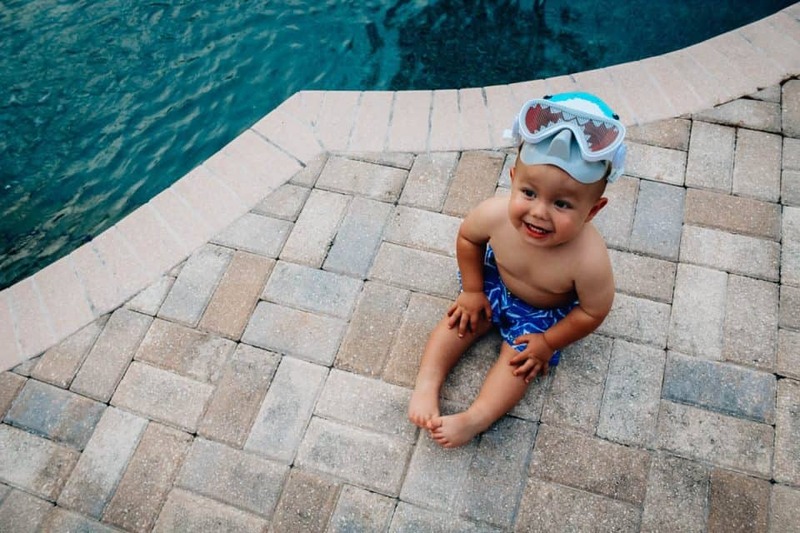 Keeping your toddler entertained in the pool can be a challenge. You are on vacation and want to relax, but your little ones want you to play with them and climb all over you. Bring along some pool toys and games to keep them occupied while you enjoy a book and a frozen beverage. 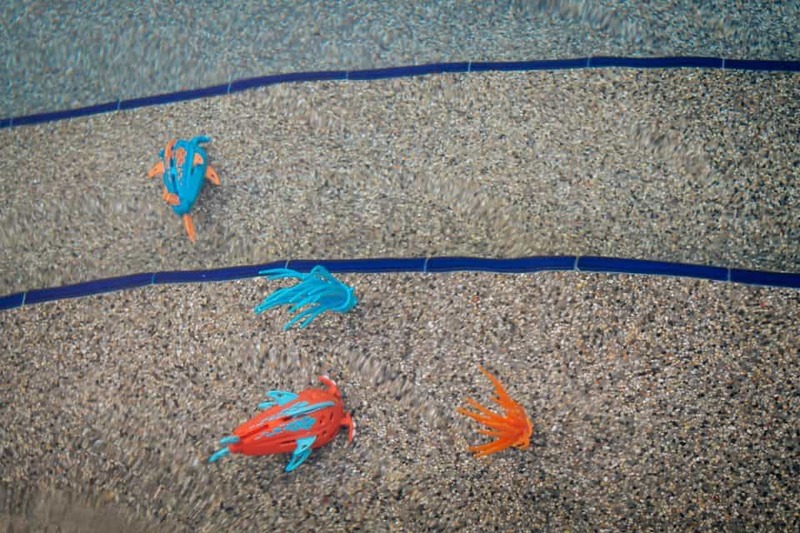 The SwimWays Aqualiens are water-activated pool toys that transform as they dive. These Aqualiens not only will keep up the fun of playing with these toys but also encourage swimming which will help build your child’s water skills. 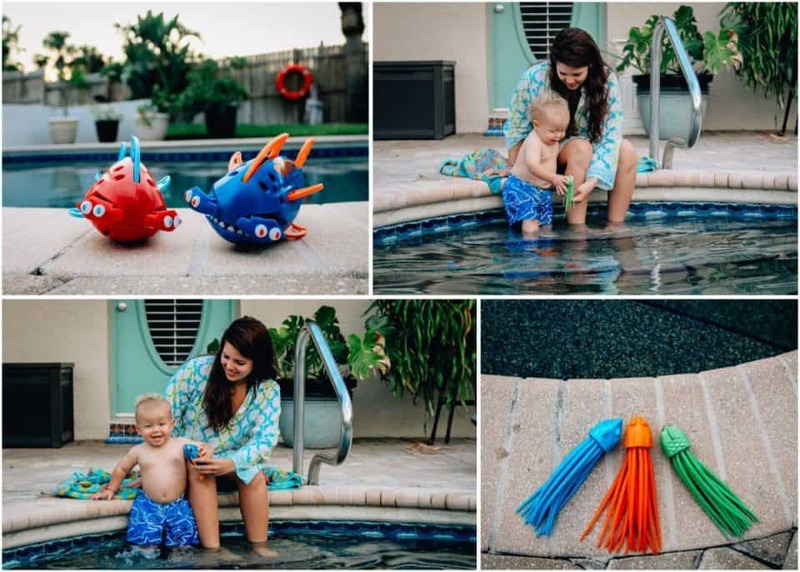 If your children are wanting a more advanced game that allows them to dive to the bottom of the pool, the SwimWays SquiDivers are brightly-colored dive toys that are easy for children to find in the pool and grab. These dive training toys wiggle to the bottom of the pool and will keep your little swimmers occupied while having fun in the water all vacation long. 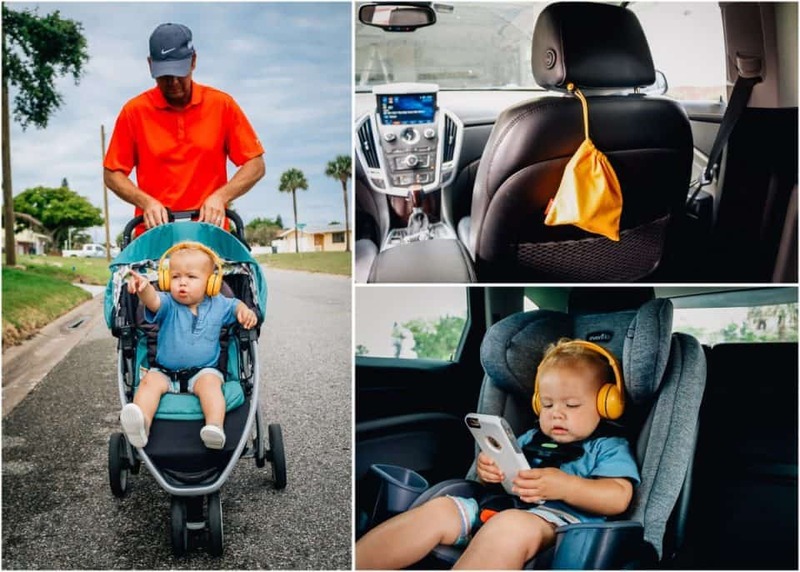 If your summer travels will include long periods of time in the car, check out Entertaining Your Toddler from the Playroom to the Car.